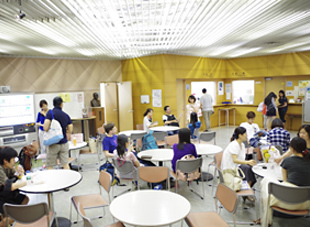 It is an ideal place for a break or chatting with your friends. 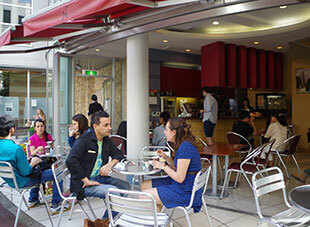 The main entrance hall is called the 'Forum' and has a seating space for 40 to 50 people. It is a multi-functional space used for various events and also serves as a place for a brief break or chatting with friends over a beverage. The room is equipped with 20 computers. 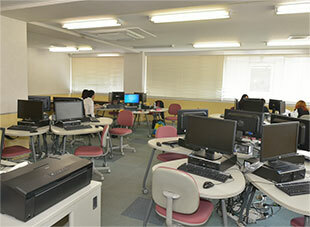 It is used for classes and it is open for the students after class hours. 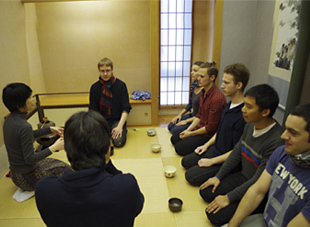 Special classes such as tea ceremony and ikebana are provided here. You can access information regarding entering higher education and/or job search. Individual consultation is also available. 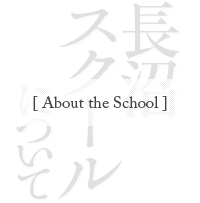 This is used for pronunciation and listening comprehension exercises. 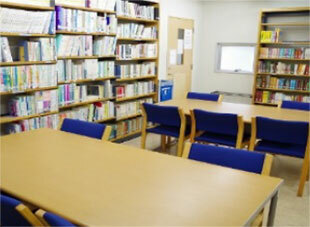 The library stocks books on the Japanese language and culture, novels, dictionaries and textbooks. Workbooks related to university entrance examinations are also available. 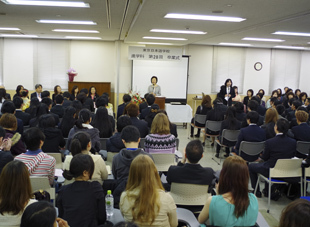 This hall can accommodate more than 100 people, and is usually used for lectures, parties, ceremonies and other occasions. 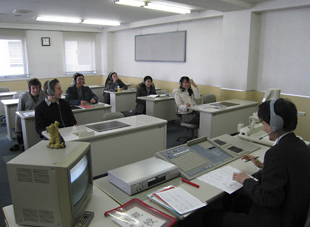 The office will deal with whatever problem or trouble you confront in your everyday life, your Japanese language classes, your friends, etc. There are staff members here who will be able to communicate with you in several languages. There are also other facilities such as a resting room, study rooms that students can use after class hours and a studio for producing learning materials. The school's Wi-Fi system is available for the staff and the students.